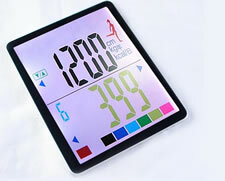 Custom LCD displays have a lot of benefits to offer. This is a new technology that has proven to be of great use. One of the benefits is that you get to choose the size of the display you want. This means that you are no longer limited to using a display with a preset size. If you want a display that can be seen from far, you can choose custom LCD displays with large screens. You are also free to choose icons that will ensure your product stand out and attract more people. Custom LCD displays help you stand out from your competitors. If you have a display that just looks the same as what other players in the industry are using, then you will not have much of an impact. However, with the custom display monitors, you can choose features that are unique to you. This will set you apart from the rest and give your clients something new to look forward to. This puts you ahead of your competitors by a large margin while making your product stand out. Custom LCD screens are not expensive to own and maintain. You do not have to buy large quantities that you do not need since the minimum amount is quite low. The tooling costs for custom LCD are also lower as compared to the TFT or OLED’s. Therefore, by choosing to use LCD, you will also lower your overhead costs by a great margin. This offers you the flexibility to own many displays without significantly increasing expenditure. Custom LCD screens can be operated in parallel where all the monitors show the same thing. On the other hand, they can also be operated in series so that each monitor displays something different. You are free to choose the display mode you want depending on the products you want to advertise. You do not need to worry about technical knowhow when using the custom LCD screens. There is always customer support when you need it. The support is useful when you are designing a custom concept for your LCD displays up to the point of full production. Therefore, even if you are not experienced in designing, you can just give an idea of what you have and the staff members will help you with the rest. You will get a list of the LCD panels available including the backlight options such as LED or side lit. There are also backlight color options and the type of LCD. Focus LCD screens are shipped in the shortest time possible. This allows you to get the samples and the final product in no time so that you do not put a halt in your business due to lack of displays. The LCD monitors are useful in different market areas such as industrial, transportation and even power conversion. If you feel you need a custom display, then you should take time and talk to the experts for advice and designing of monitors that will suit your business. Hannah Bourne is the author of this article on Focus Display Solutions.